Nerd in Japan: The Last Month, Part 1 of ??? The Last Month, Part 1 of ??? I could start by saying, “it’s been awhile…” But, I don’t really want to dwell on the absence. Things are, if not ideal, certainly busy for my life in Japan. I almost forget everything that has happened. Furthermore, this blog (as I knew it would be) is a lot of work to do, in addition to the classes. Speaking of classes…ouch. It is amazing just how difficult it is for me to learn the Japanese language. Though, I will continue to try. I will not give up, but I might take really long breaks from time to time. 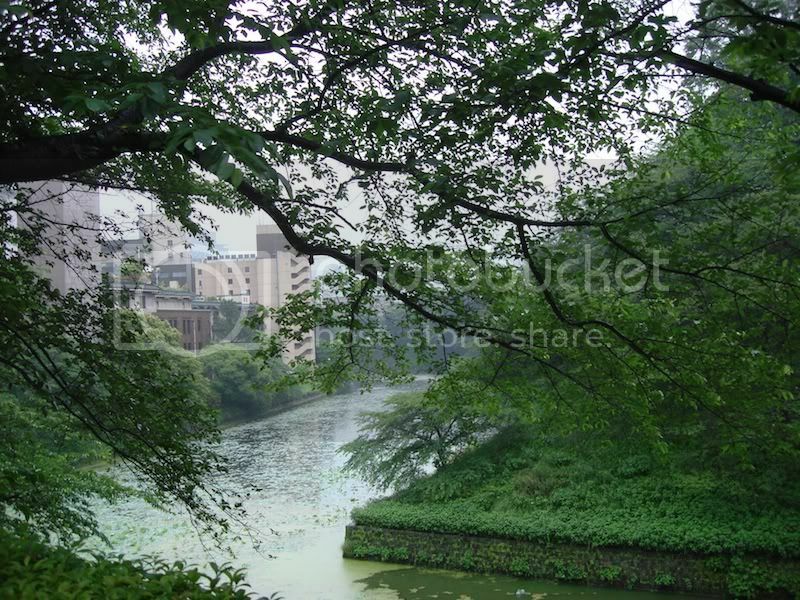 The above photo is a view of the surrounding area of the Budokan, to be explained further down. I find that the hardest bits for me, in becoming more proficient with the language, are the acquisition of new vocabulary. I do not have the type of mind that associates one word/sound with the meaning of another. I can however understand and quickly process/learn kanji. I think it is the pictoral nature of kanji, paired with my way of visually learning. I might not be able to read aloud a Japanese sentence, but I can at least gleam some kind of meaning from them (sometimes), even if I couldn’t tell you the actual word it depicts. I am curious how many other people have the same trouble in learning Japanese, or any other language for that matter. I do hope that people understand that I am not trying to be modest of my Japanese ability. I really am not that good at this whole “learning-a-second-language” thing. I might figure it out one day, but it will be very slow moving till then. I am happy to report, however, that my frustrations with learning Japanese have not hurt my love of Japanese culture and learning more of it. I am able to understand some things with a new lens, while realizing things about Japanese culture I don’t think I could learn in a book, or by watching a movie. Now, about my experiences here. I have started Aikido (ish) and have become an official member (I think) of the Aiki Budo club on the TGU campus. I’ve explored much more of my area around my dormitory. I’m cooking more exciting things, with the purchase of a grill. And… I’ve lost weight. 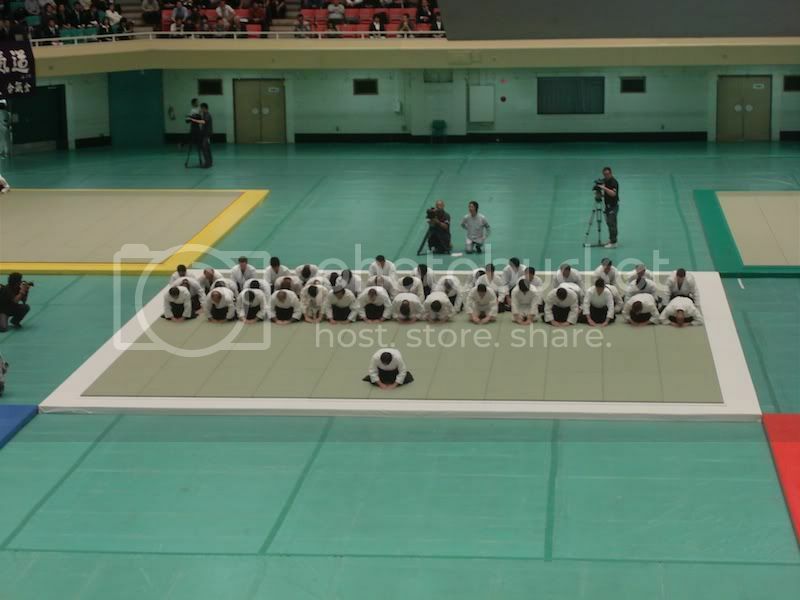 Aikido first. I have attended a month’s worth of classes. So far for this month I have been unable to attend, due to finances and time concerns. I feel that it is a shame that the reason stopping me from doing things while here in Japan seems so petty. I had known that things wouldn’t be cheap here, but I failed to plan for some other costs. Shoganai (Japanese meaning, “nothing can be done,” or, “it cannot be helped”). The Aikido Dojo I joined for my time in Japan, mentioned in previous posts, is the Kobayashi Aikido Dojo. I have enjoyed finding Aikido that is familiar to my home’s Kenosha Aikikai. Though it is familiar here, it is not the same thing. There is an even greater emphasis on weapons in the Kobayashi Dojo. Every class has weapons taking up a portion of the practice. Additionally, the techniques are taught with different insights, which is to be expected. Very little English is spoken on the mat, certainly not to teach class. It is rewarding when I can learn a new way of performing a technique by using my Japanese to discus specifics with a native Japanese speaker. After classes, I have often been invited to sit with some of the higher-ranking students, assistant teachers, uchi-deshi (live-in students) and Kobayashi Sensei for tea and sweets. I enjoy this post-practice routine. I am able to listen and try to communicate to the Japanese happening around me. Kobayashi Sensei is very welcoming, and has a very warm personality. Everyone in the Dojo is very generous with me. I don’t mean to imply that only Japanese is spoken here. A few Japanese Aikidoka (Aikido practitioners) speak very good English, and there is an uchi-deshi from Canada, and an Assistant teacher from the U.S. that also teaches at a local (Japan) university. I attempt to attend three/four of the seven classes a week offered at the Kobayashi Dojo, in addition to the three classes a week at TGU’s Aiki Budo club. I usually try to do Aikido on Thursday morning before my language classes at 6:30, Friday nights at 7:00, Saturday mornings at 6:30 and Sunday mornings at 11:00. Depending on how tired I am, how much it is raining, how hot/humid it is or how busy I am, I don’t go to every class. It takes a lot of energy to do all of them. I don’t know how the uchi-deshi do it. 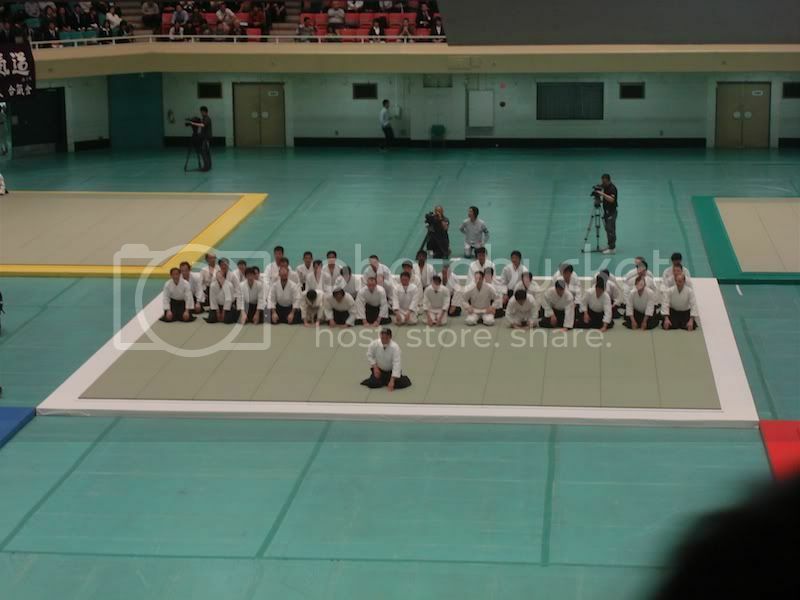 While I’ve been in Japan, the 49th Annual All Japan Aikido Demonstration took place on the 28th of May. I had really wanted to go, but was hesitant to wander out to a location I knew nothing about, alone. 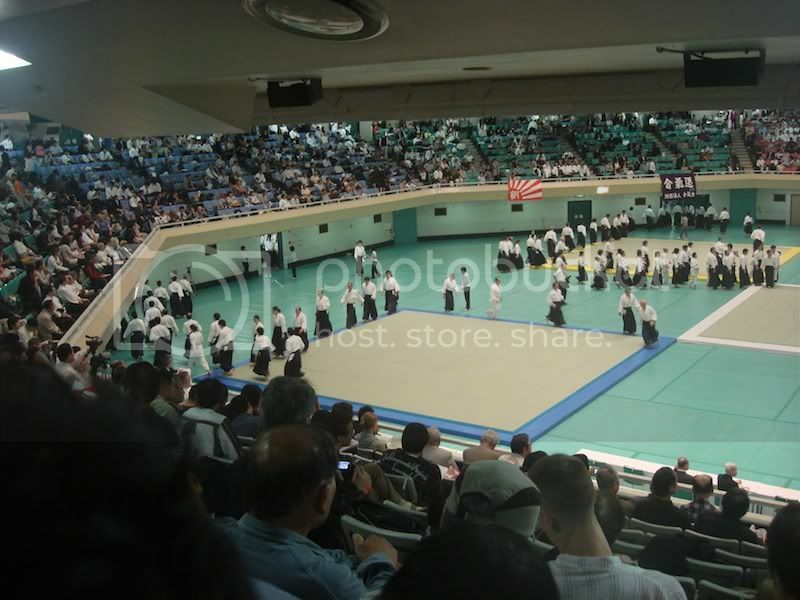 I was quite happy when the Kobayashi Dojo invited me to join them at the Budokan to watch the event. The day of, a Saturday, after morning class, I received an email from one of the Assistant teachers (who speaks perfect English) that I should meet them at 1:00 to participate. I wasn’t fully sure what he meant by participate, so I replied asking what I needed to do. 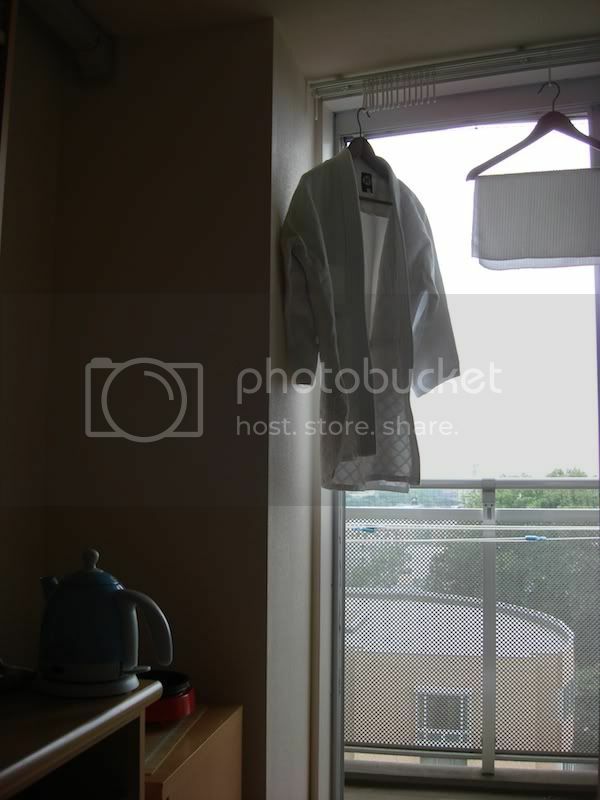 I was requested/offered to bring my Aikido-gi (practice uniform) and participate with the Kobayashi Dojo demonstration. Nervous, I brought my gi. Once there, it was amazing. I am happy that I didn’t allow myself to remain a spectator. 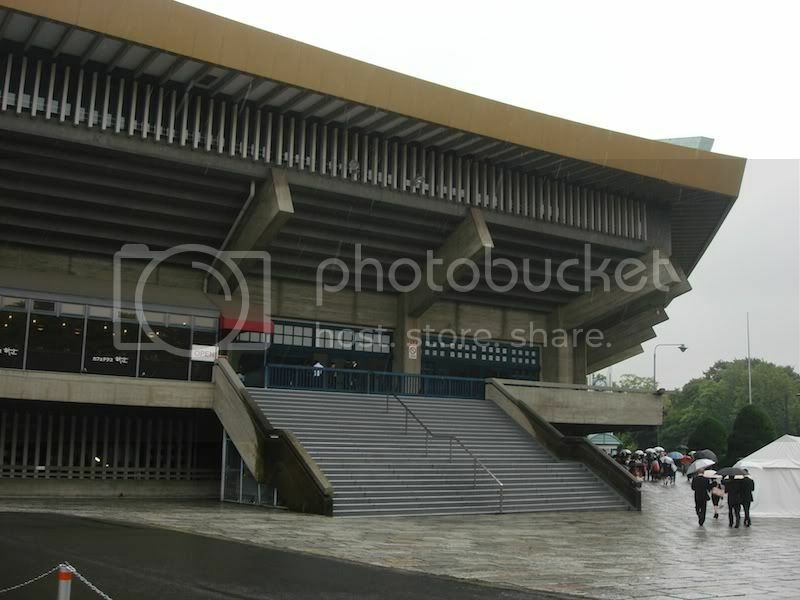 I was led to the floor of the Budokan, and proceeded out with the Dojo to practice Aikido in front of the thousands watching. 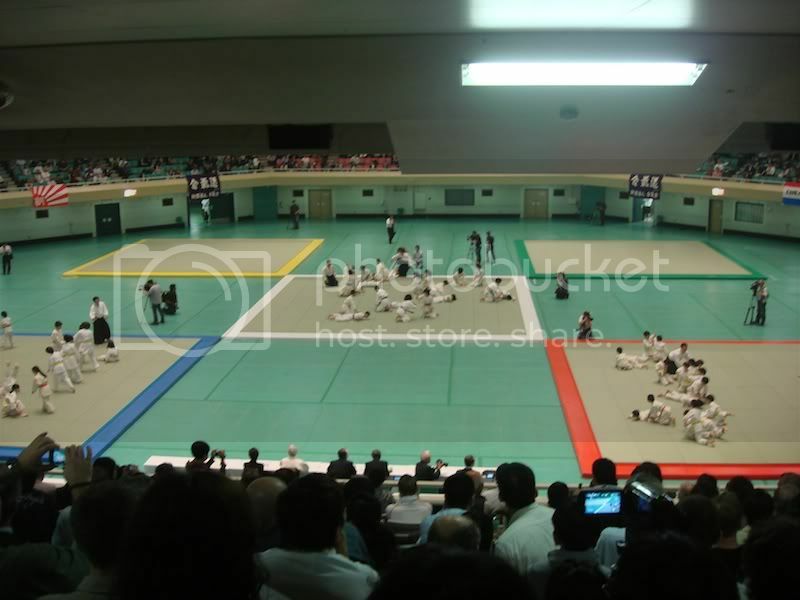 Luckily, there were perhaps 150 people in total on the five (each a separate color) 55-tatami sized mats. Doshu was sitting off to the left of the mat (blue) I practiced on, and Yakota Shihan sat immediately to the right of the tatami. It was awesome. I wasn’t able to bring my camera to the floor, but I did capture some images and video of other portions of the demonstration. As I was promised, the experience proved to be the makings of an amazing memory of my time here. I’ll need to return to this all later. In my kanji class, I have already finished a complete textbook of kanji, and have a test on what I’ve “learned.” All the kanji, roughly 250 total kanji, make up many more words than I would have previously thought. Later, I will try and explain just how fascinating I believe kanji can be.